In a food processor, pulse the olives with the olive oil until finely chopped. Scrape into a small saucepan and cook over moderately low heat, stirring occasionally, until the oil separates and the mixture looks broken, 2 to 3 minutes. Transfer the tapenade to a small bowl. Clean the food processor. In the food processor, puree the feta until smooth. Transfer to a small bowl. 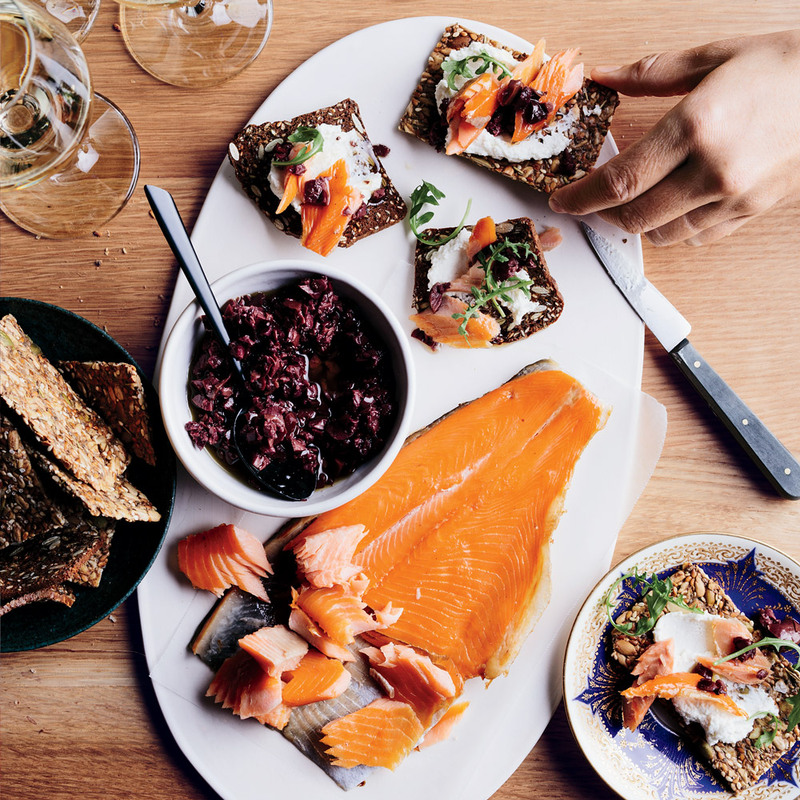 To serve, spread the feta on crackers and top with the smoked trout, broken tapenade and arugula. The feta puree and the broken tapenade can be refrigerated separately overnight. Bring to room temperature before serving.